Our Religious Exploration program has some exciting new offerings for the whole UUCL community! Interested in the calming feelings, stress relief, and peace associated with meditation? Join us for the first session of UUCL’s meditations series, an exploration of the concept of mindfulness. This morning session will begin with story time, featuring Hill Schroder’s Blue, A Mindfulness Tale. Afterwards, we will sit (or lay!) for a mindfulness meditation which explores the senses. This event will be held before Sunday service, from 10:00am – 11:00am, and is for all ages, including very littles! Feel free to bring a pillow or cushion to sit on. Our Religious Exploration program for children and youth is being updated and improved! 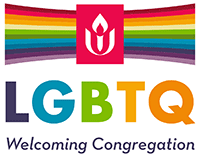 During the worship service, our children and youth will be invited to the Meditative Maker’s Corner in the sanctuary to work on an activity that is relevant to the day’s theme and helps to teach them about Unitarian Universalism- our Principles and our Sources- and encourages them to learn how to worship. Please email Heather Norby at heather@uuclakeland.org for more information. Unity in Diversity is our worship theme for this month. Our UUCL mission statement is: Uniting in diversity, advocating for love and justice. So how do we unite in diversity? Are we living our mission? This week’s sermon will take us to a deeper understanding of what and how to unite in diversity so that we may create the world we dream about at UUCL.